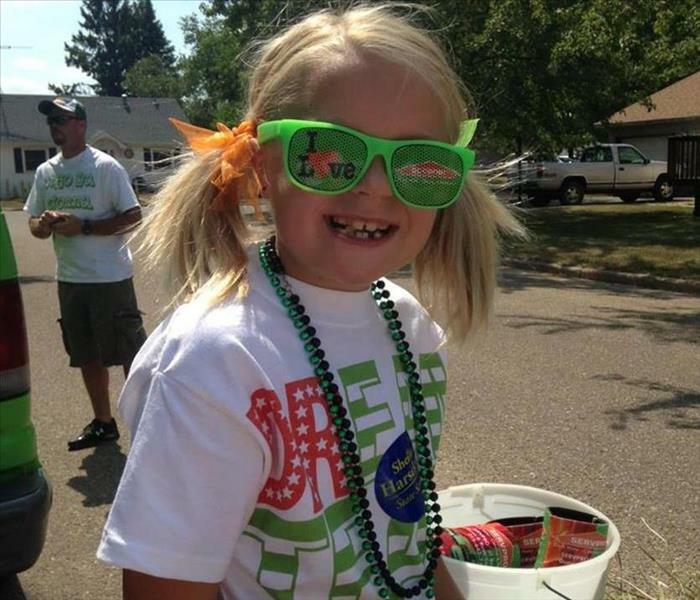 SERVPRO of Barron, Dunn, and Rusk Counties supports Picklefest in Boyceville, WI. Check out the SERVPRO Corral! At SERVPRO of Barron, Dunn, and Rusk Counties we care about our local Education Institutions. 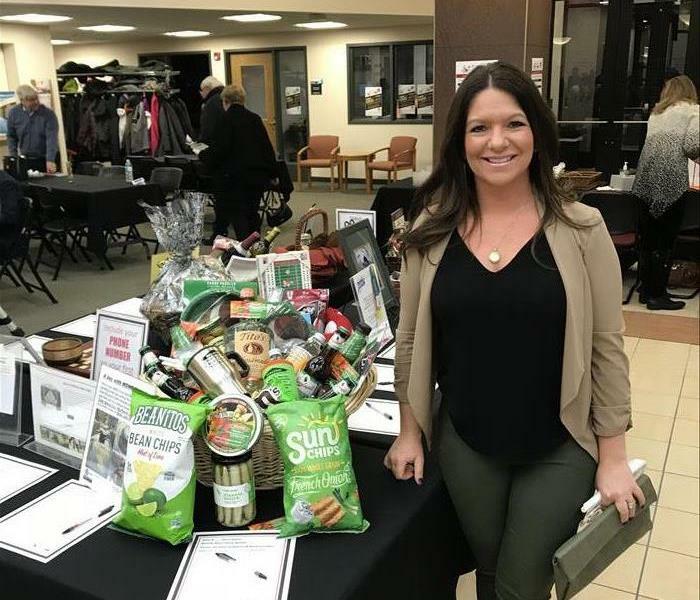 This fun Super Bowl Party Basket was donated to a scholarship fundraiser at UWBC. Our donation raised funds for students in the area to be used to help fund their education. 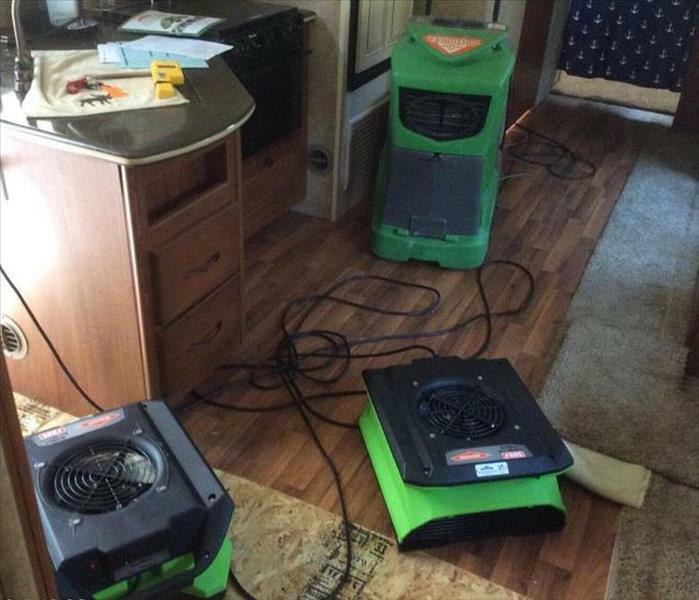 SERVPRO is proud to support our Barron, Dunn, and Rusk Counties communities! 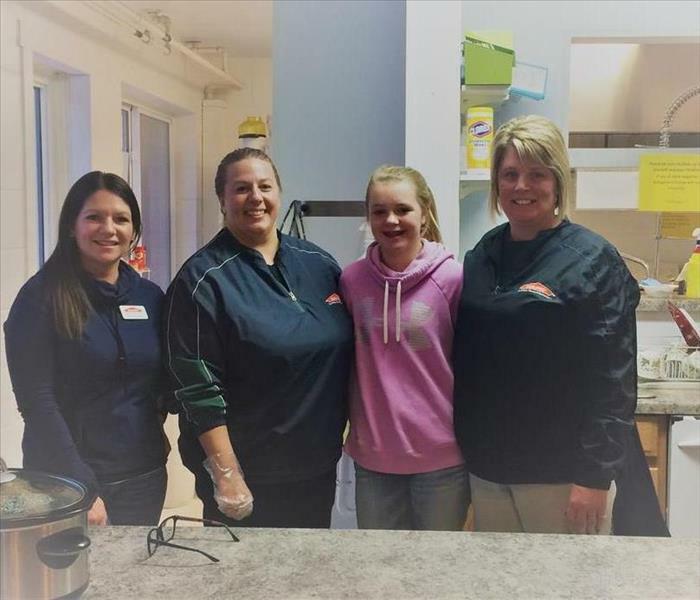 Our Marketing Team and Franchise owner volunteered their time by cooking a large dinner for Benjamins House in Rice Lake, WI. Benjamins house is a homeless shelter that offers a 90 day program to get some of those put in hard times a 2nd chance. Our Crew volunteering at Benjamins House, a homeless shelter in Rice Lake, WI. 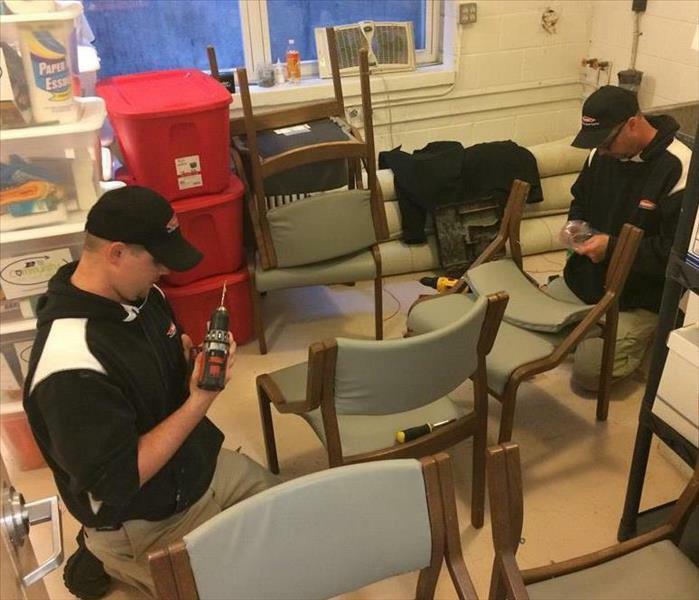 Here Chris and Jon are fixing some chairs that were to be used in the shelters dining room. 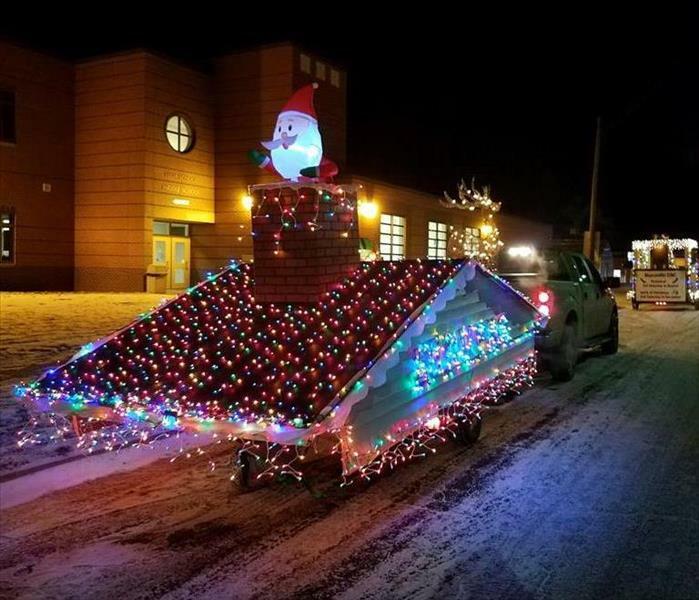 The Spirit of Christmas Parade took place in Boyceville, WI on December 9th, 2017. 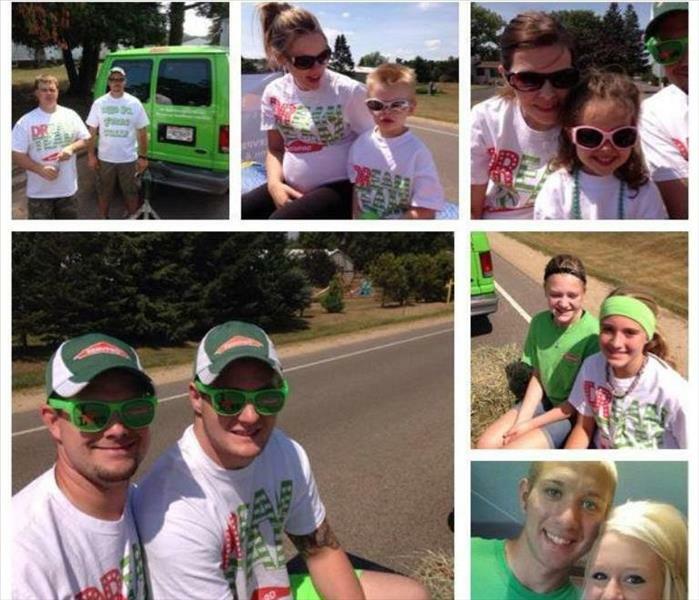 SERVPRO of Barron, Dunn, and Rusk Counties loves to stay involved in the community! June 2012, makes a 1 year anniversary for SERVPRO of Barron, Dunn & Rusk Counties. 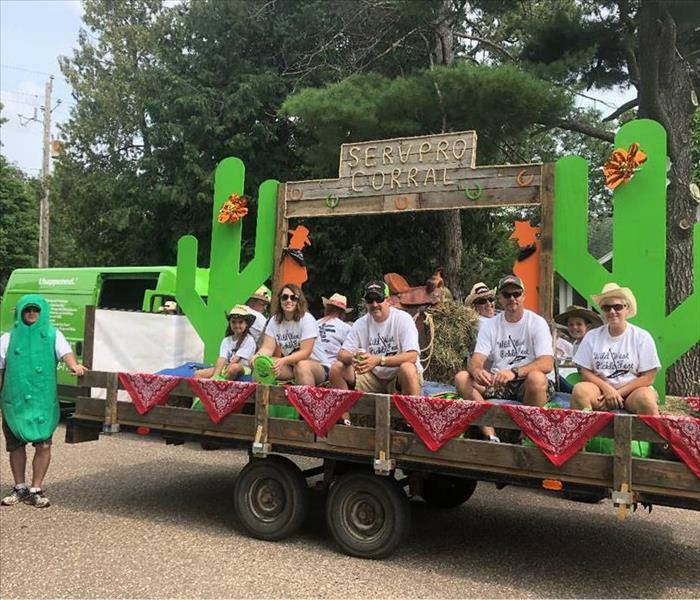 We all had a blast in the parade and the weekend community activities! Fun had by all. Hailey Hanestad all dolled up for the parade!